Emotional Quotient or Emotional Intelligence (EQ) has helped Warren navigate through the uncertainty and sometimes overwhelming process of being an entrepreneur, from connecting with customers to building a top-notch team to handling stress. 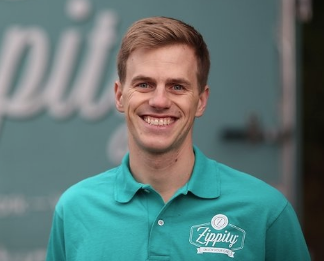 In September 2016 he co-founded Zippity Cars, a Boston-area mobile automotive service that comes to your place to perform work onsite. With customers often wary of exactly what they’re paying for when it comes to car maintenance, EQ can go a long way toward empathizing with them and connecting. This has been absolutely critical for his startup success. “Understanding peoples motivations, what makes them tick, trying to understand the customer’s pain points, and understanding what causes their frustration are important,” Warren said. “For example, if the customer thinks car maintenance is a hassle, what exactly about it is a hassle? Is it getting to the garage? Are you worried you’re not getting a fair deal? Is the work actually getting done? Is it feeling a little insecure because you’re not an expert on the car? You want to feel empowered to make a decision but you recognize you’re not an expert.” His and his team’s job is to engender trust, but he knows getting that buy-in can be nuanced. With Warren so attuned to EQ, we asked him about the nature versus nurture debate. That is, can you improve your EQ or are you born with what you get? “I think it’s a combination of both, which is a copout answer,” he chuckled. He then described his own path to developing EQ, which was a result of finding himself somewhat at odds with the mores and politics of his surrounding environment. Finding himself viewing situations from an outside perspective challenged him to think from both sides, and he believes this gives him an advantage. “That exercise was pretty palpable in helping me think through issues from another mindset or different perspective,” he concluded. As Warren explained, “I went into the nuclear missile group, and that as a career field is defined exclusively by process. You cannot launch a nuclear weapon accidentally, you cannot miss a piece of classified inventory when you’re doing crew changeover. It is extreme attention to detail, relentless attention to process. What I’ve found personally is I appreciated the challenge, and it was good for me professionally. But what I realized was I needed more flexibility in my professional life. I needed a little more leeway to be able to implement big ideas, to find ways to improve processes.” It all informed his more holistic approach. “I think there is a really important balance of being able to deal with uncertainty and confusion and still have a clear path forward,” he said. Because there is so much uncertainty, he warns against accepting the extreme conclusion that you might as well walk into it with no preparation. He espouses taking an approach that brings both a disciplined process and high flexibility, including an ability to think on your feet and adjust. “The selection is tough, right?” he said of finding a co-founder. “Businesses get started because people latch onto an idea at an incredibly early stage, and those people might have the perfect complementary skill sets, or they might be people who just share a vision. Those are two very different things.” Once the company is humming along and you’ve lost that initial co-founder dynamic, or original enthusiasm, that’s when you could hit a crossroads. “So there’s that really tough and critical moment at that early stage where you kind of look the other person in the eye and say do you want to go for this?” But Warren makes it clear there’s more to it than that simple question. “I think entrepreneurs need to force themselves to be intentional about it, and ask the opposite question of each other out loud, Why on earth are you the person I should do this with? Subsequently, in building a team, he knew he needed people with not only complimentary skill sets but comfortable with the many uncertainties that come with a startup. “I did go through an interview process with multiple people,” Warren recalled of filling a particular role. “I have learned in this process that you need to have sufficient process, but if you come into the hiring process with a clear sense of what you need, and you find someone who hits that on every level, delaying the process purposefully like going out and looking for alternatives is not a good use of time in the startup world. The key is knowing what you’re looking for.” So, when he came across someone who clearly fit the bill, Warren moved fast to bring them on board. One of those methods is building an off the grid cabin in Northern New Hampshire. “That is a really nice way of breaking the cycle, and having to focus on something else,” Warren explained. “When you make yourself focused on something else, it’s the first chance to actually clear your head in a really satisfying way.” Enter the cabin. But even it was a process. With the CEO job come headaches of course. “There’s absolutely a lot,” Warren noted. “A dissatisfied customer, an unhappy investor, these are things that I deal with on a daily basis. Some of them can be really bad, ones that I stay up late thinking about. The thing that is going to make me feel the worst and make me stay up late at night is when I have failed someone else, when I took on the responsibility, trying to do the right thing, but ultimately did the wrong thing. It could be a hiring decision. It could be telling someone you’re not going to be renewing their contract, and then realizing maybe that was the wrong decision. These are highly personal decisions with a lot of implications for the people you work with. With Warren on the cusp of closing a round of funding at the time of our interview, we also wanted to know how that was impacting him emotionally and mentally. Even with a great team in place, it’s left him stretched thin. “Fundraising is a job in its own right. There’s a desire by the entrepreneur to say, Hey I’m going to build a great business and the money will just flow in at the right time. So I will focus on that, and when we need money I will go out and ask for it. Because we’ve built a really great business, it’ll work. Even if it doesn’t work, I don’t have any options because I have to build the business. That’s true. But it’s also a great reason to have co-founders because the truth of the matter is you need to approach fundraising like you’re starting a brand-new job. But we wondered if on another level closing a round might actually ratchet up the stress? Is it possible that such a success can make you unhappy because you just want to get the next plateau? “Totally,” Warren acknowledged. “Entrepreneurs have to ask themselves from the beginning do they want to go the venture capital route? Because it’s not something you do halfheartedly. It’s not something you dip your toe in. If you’re going to build a company that’s going to go for venture capital, you should not start out searching for venture capital. You should start out with a business model that addresses why you want to go that route, then back out your capital needs.